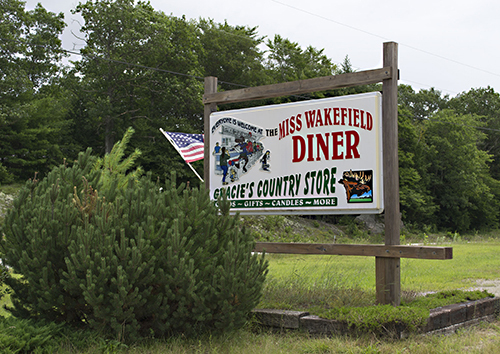 Owner Scott Bramer says he has no intention of ever selling the Miss Wakefield Diner. New England is one of the strongholds of the diner, and New Hampshire certainly has its fair share of these unique eateries. The traditional diner is a particularly American institution, a living relic of the days when the car was king, modernity meant speed and convenience and a milkshake with two straws was the pinnacle of young romance. Despite the rise of the fast-food chain, the traditional diner remains, serving up burgers and omelets with a side of nostalgia. 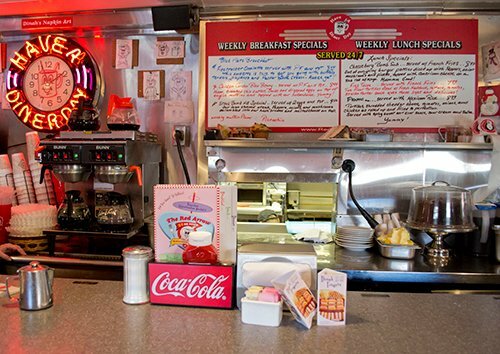 Halfway through a road trip, early in the morning before another day’s work or late at night on a trucker’s route, the reliable diner beckons. 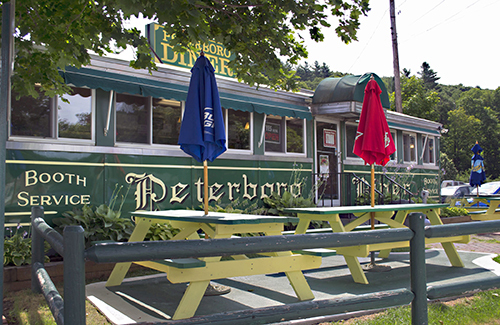 A port of call for weary travelers, the diner has a sense of adventure about it, of undiscovered highway stretching mile after mile, waiting outside as you finish up your coffee. 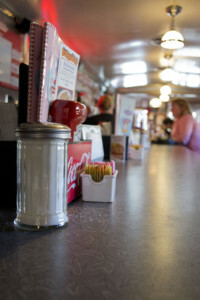 A diner is also a local fixture, a place to meet every day, to have “the usual” and catch up with neighbors. 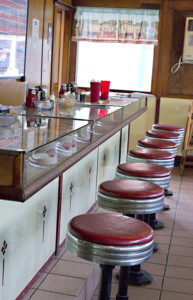 Diners are uniquely welcoming, and their stools and booths have seated farmers and factory workers, celebrities and politicians, a veritable cross-section of a neighborhood, a town, a city or a whole state. 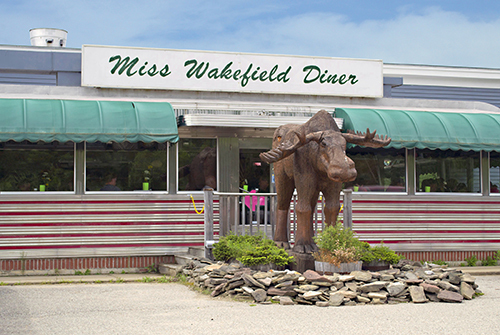 Whether we’re making a stop on a long journey across the country or just heading across our small New Hampshire hometown, the food is rarely the only reason we go to a diner. 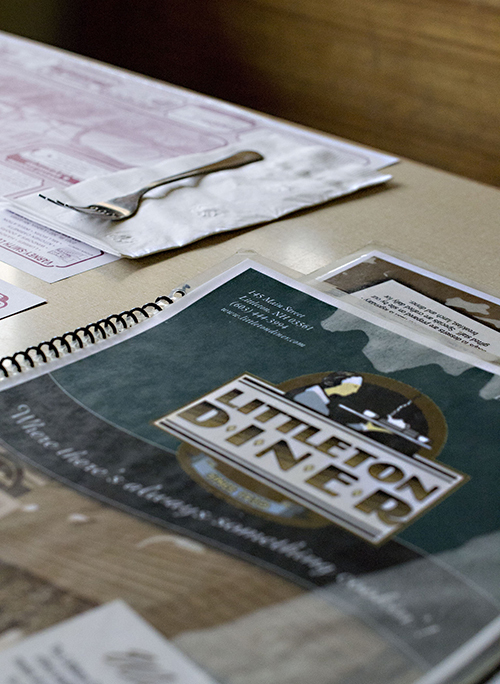 The reward of the diner experience is a glimpse into the heart of a community. And at the center of it all is the diner waitress. She calls you “hon,” refills your coffee, brings your eggs at lightning speed and, whether you’re passing through or live next door, she makes you feel at home. 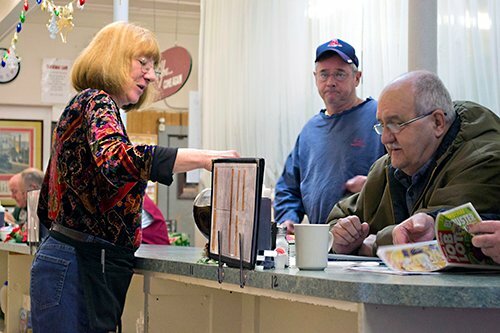 We went to five diners around the state to talk to their longest-serving servers, for a closer look at the women who help give New Hampshire’s diners, and the communities around them, their unique character. What look at New Hampshire’s diners would be complete without Manchester’s Red Arrow 24 Hr. 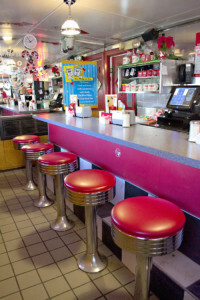 Diner? 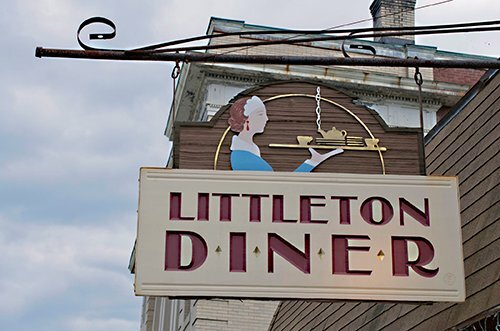 While diners are known for being relaxed and casual, with a strong sense of community, there’s also something urban about them, a hustle and bustle that reflects the cityscapes they were originally designed for. 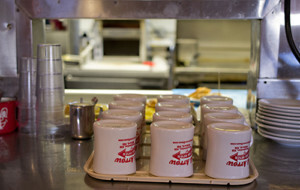 Located in the state’s largest city, the Red Arrow is arguably New Hampshire’s most diner-like diner. 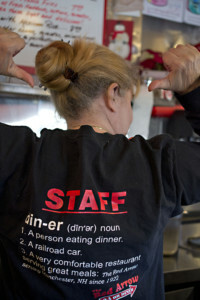 Andrea Sullivan has worked here for 11 years and can attest to the diner’s controlled chaos — and to the huge number of personal connections made here every day. “I think that was one of the reasons why I stayed,” she says. “You never know what you’re going to see or hear.” From surreal conversations at three in the morning to the politicians and celebrities who constantly appear, Sullivan says she’s learned a lot about people and especially to never judge a book by its cover. 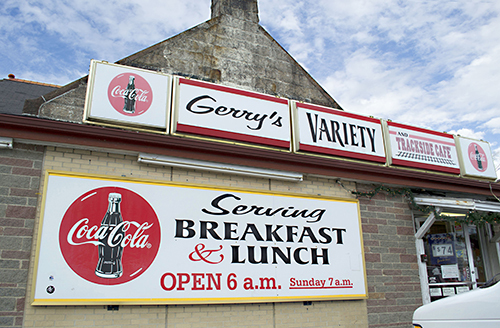 That familiarity extends well beyond the walls of this diner. Manchester is much, much bigger than her tiny Vermont hometown, but Sullivan can’t go anywhere in this city without being recognized — if not by name, then at least as a server from the Red Arrow Diner. “Now I would talk to anybody,” Robbins laughs. “Anybody” passing through this 61-year-old diner has included almost every presidential candidate (Obama had a slice of blueberry pie). Part of the 2006 indie movie “Sensation of Sight” was also shot at the diner and features the back of Robbins’ head. 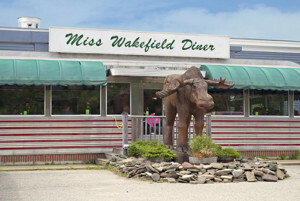 “You gotta remember,” says Scott Bramer, the owner of Miss Wakefield Diner, “the server is the first and the last person to see your customer.” A diner, in other words, is only as good as the servers bringing coffee, taking down orders and joking with regulars. 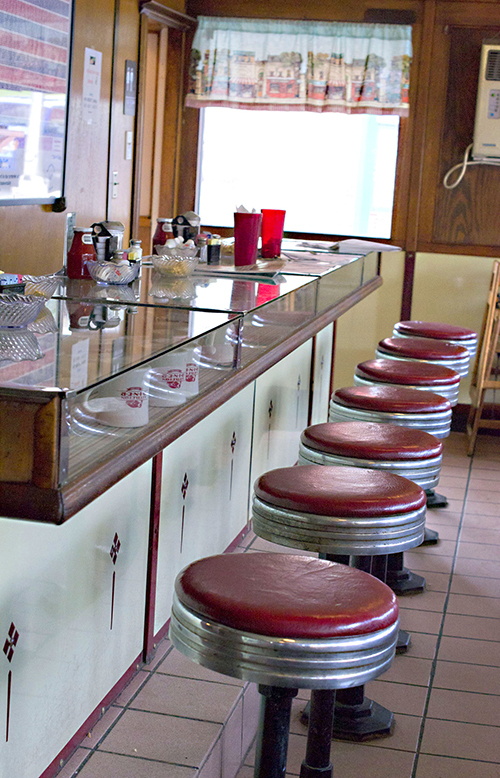 A good diner feels like home, and good servers are the ones who make it that way, keeping customers coming back. Megan Bastien and Tara Damon have both worked at Miss Wakefield for 12 years (Damon one month longer than Bastien). 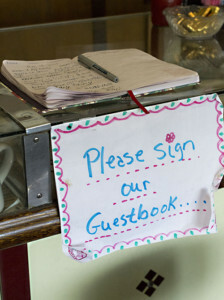 In that time, they’ve made plenty of visitors into regulars. 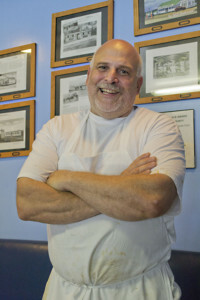 They both say the diner feels like a family, one that includes the regulars, the staff and Bramer and his wife. 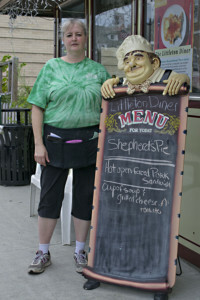 Karen Carignan moved up to Littleton nine years ago. 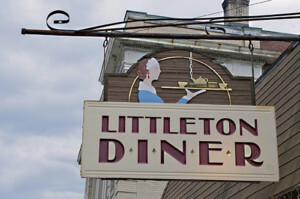 She had waitressed in restaurants big and small, and even a casino, but wanted to go someplace relaxed and out of the way. But she says that doesn’t mean the Littleton Diner isn’t busy — or even, as it turns out, so out of the way. 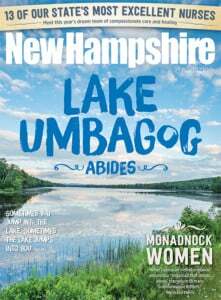 Lots of people come up to Littleton, especially for the foliage, and Carignan is amazed by just how far some of them have come. The diner’s guest book has entries from plenty of New Englanders and Canadians, but also a surprising number from Europe, Africa and as far away as New Zealand. 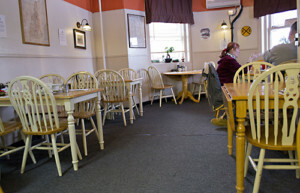 Some of these international visitors have even become seasonal regulars. As for the local regulars, Carignan says they usually wait out the summer and fall and reappear in the off-season. “They come back like, ‘Is it over yet? Can we come back yet?’” she says. Morning person Chris King gets up at 4 a.m. every day to serve breakfast. 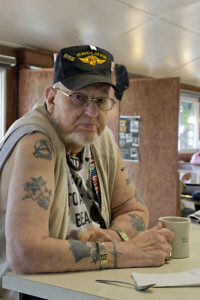 Lucky for the Exeter commuters catching the Downeaster at dawn, Chris King is a morning person. 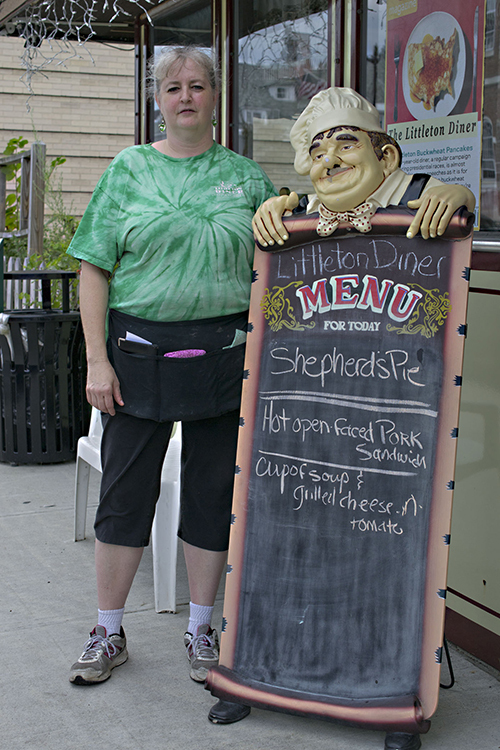 After about 40 years in the restaurant business, she traded a job working nights to become a server at the Trackside Café two years ago. 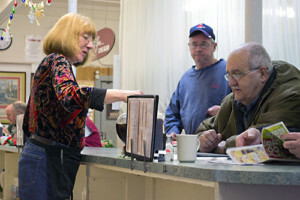 “I get up at 4 o’clock every morning and I love every minute of it,” she says.